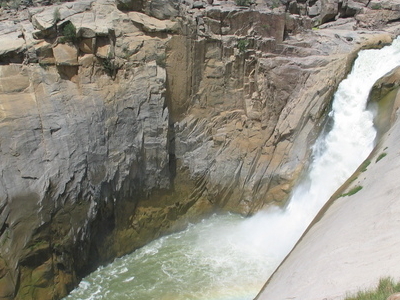 The Augrabies Falls National Park covers an area of 820 km² and stretches along the Orange River. The area is very arid. The waterfall is about 60 metres high and is awe-inspiring when the river is in flood. The gorge below the falls averages about 240 m deep and runs for 18 kilometres. Here's the our members favorite photos of "National Parks in South Africa". Upload your photo of Augrabies Falls National Park!